It’s exciting times, and we hope you will follow us on Facebook to find out more and keep up to date with information. Healthy eating is not about strict nutrition or depriving yourself of the foods you love, its about feeling great, having energy and keeping yourself as healthy as possible. 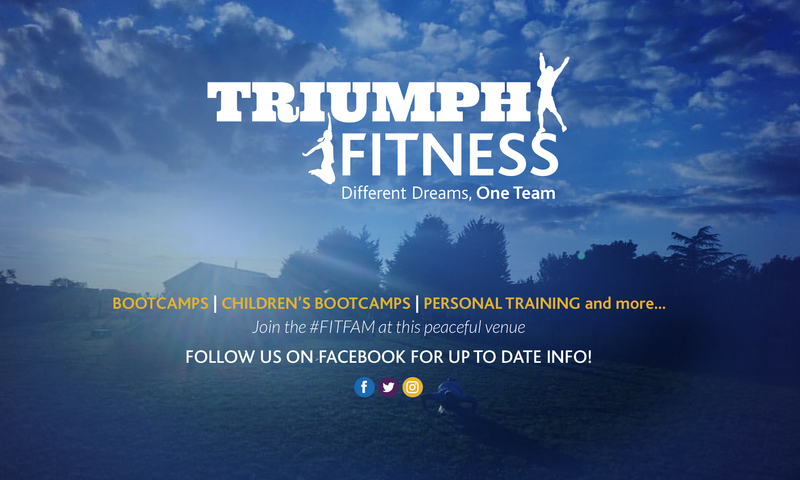 Triumph Wellbeing believes in finding a health and fitness regime that suits you and your family and that exercise can bring you joy and give you energy. If you find something you enjoy, you are far more likely to stick with it and achieve your goals. This is why we make our bootcamps FUN! Our philosophy isn’t about being skinny…it’s about the feeling of strength, energy and confidence that comes from keeping fit and healthy. Healthy eating is not about strict nutrition or depriving yourself of the foods you love, its about feeling great, having energy and keeping yourself as healthy as possible. Having worked in the fitness industry for over 12 years and working closely with members and customers on a daily basis, I appreciate the needs and constraints within the fitness and leisure environment. As a previous gym user myself, I also know how hard it can be to be motivated to workout in the same environment doing the same programme and using the same equipment. I have full public liability insurance, first aid and a drive and enthusiasm to help you make a difference to your diet, exercise programme and wellbeing. Book a FREE trial session, contact us today.